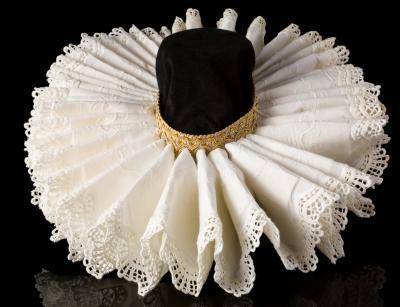 Elizabethan fashion for women provides a fascinating portrayal of how a woman's standing in society dictated how she dressed. Laws were in place that placed strict limitations on the colors and fabrics they were allowed to wear. Taking a look at women's fashion history is an intriguing way to study how clothing has changed throughout the centuries. Just like today, ladies' fashion trends had a big influence on what was considered stylish or acceptable. 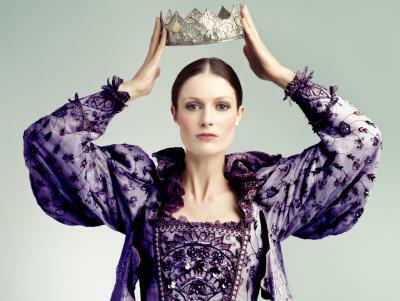 If you thought eighties fashion for women - the 1980s, that is - was opulent and full of accessories and sparkly jewels, this decade had nothing on the time period that defined Elizabethan fashion for women. 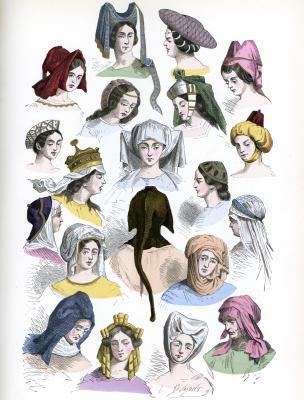 Some of the hallmarks of how women dressed are divided according to class. Royal and noblewomen had greater access to fine materials, as well as being allowed to wear richly decorated clothes. However, they were still confined to certain styles. Anyone who didn't adhere to clothing rules was subject to punishment. Materials: Women in this class were able to wear luxurious fabrics and furs, such as silk, sable, velvet and satin. Colors: A queen and her immediate family wore purple, but they were the only ones allowed to do so. 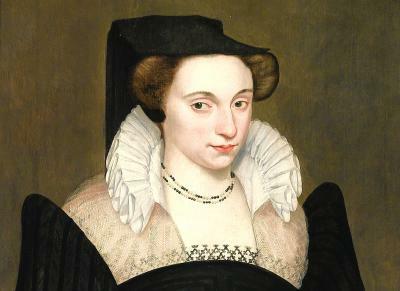 Lesser noblewomen wore gold, silver, grey, black and crimson. 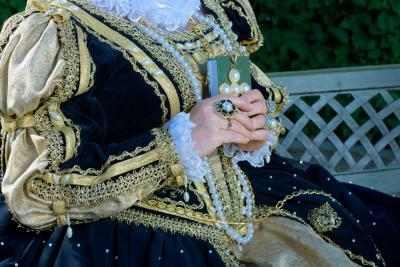 Embellishments: Elizabethan women adored jewelry and wore brooches and pins on everything from their bodies to their hats. Fine needlework and embroidery also decorated upper class women's clothing. As you can imagine, getting dressed wasn't a one-woman job for the nobility! Upper class women had a bevy of assistants that helped them dress each day. 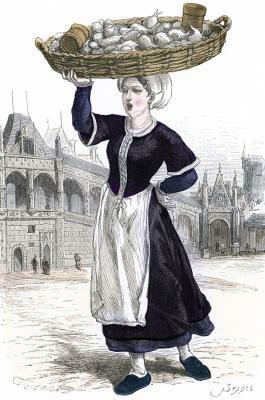 Pieces of under- and overclothes were usually interchangeable, allowing a lady to wear one type of sleeves one day and a different type the next, while perhaps wearing the same forepart. Just like the nobility, lower class people were restricted in their clothing. Materials: Peasant women weren't allowed to enjoy fine materials, but had to make do with cheaper ones like wool, linen and sheepskin, although trimmings made of silk or taffeta were fine. Colors: Again, cheap materials didn't come in vibrant colors, but were shaded brown, russet, dull blue or grey, and beige. Dresses: Lower class women didn't have a slew of assistants to dress them and so their style of dress was simpler (as dictated by law). A working class woman wore an apron and an unboned bodice that typically laced up the front. 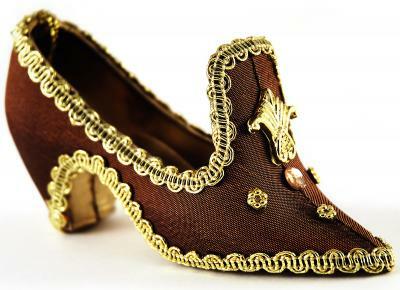 Her shoes were the same style, but not made of fine materials and she wasn't outfitted in jewelry or other adornments. Although most women today couldn't imagine having to wear the many layers of clothing that women did in Elizabethan era England, it's interesting to note how far people have come. While nice clothes make a favorable impression, you're no longer restricted in how you can dress, which allows people of all income levels to wear what they like.